Sagada is probably one of the most popular tourist destinations in the Philippines. 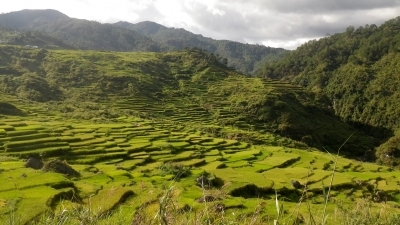 Aside from the breath-taking views of the mountains, Sagada is equally well-known for its culture and traditions. Sagada is a municipality located in the Mountain Province that is famous for its hanging coffins, which is a traditional and unique way of burying people. If you are searching for an adventure where you can experience many things all at the same place, then Sagada is perfect for you. Here you can enjoy trekking, swimming in waterfalls, spelunking in caves and many other intense activities. Because the trail difficulty is rated 3 out of 10, with 10 being the hardest, it is safe to say that Sagada is also an ideal trip for beginners. Sagada may be a little bit far from the city, but it is surely worth every mile of travel. From the cool weather, the panoramic views and the wide variety of adventures that you can try here, a trip to Sagada is definitely a priceless experience. - Explore the culturally rich town of Sagada with its burial caves and hanging coffins. 11:00 AM Free time. Lunch. 01:30 PM Depart for Bomod-ok falls. Trek via Aguid rice terraces. 03:30 PM ETA Bomod-ok falls. option to swim. 04:30 PM Trek back. Head back to homestay. 07:00 PM Dinner and Free time. 04:30 AM Wake up call. Head to Kiltepan for Sunrise viewing. 05:15 AM ETA Mt. Kiltepan. Sunrise. 06:00 AM Head back to Homestay. Breakfast and prepare for Spelunking. 11:30 AM Lunch. Final Packing before departure. 03:00 PM ETD for Manila via Bontoc.